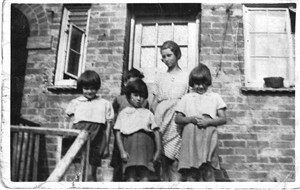 Freda Taylor, Aug 1936) with Joyce, Winnie and Ron - is that Ada in the window? They lived at 19 Fletching Road in the 1930s. Her parents were Arthur George Taylor and his wife Ada Taylor (nee Middleton). In the 1935 photo I am not sure of which child is which, but my mother Freda Taylor is the tallest. The others would be Joyce Taylor, Winifred Tayor, Betty Taylor and Ronald Taylor. The photo would have been taken at Whitehawk. 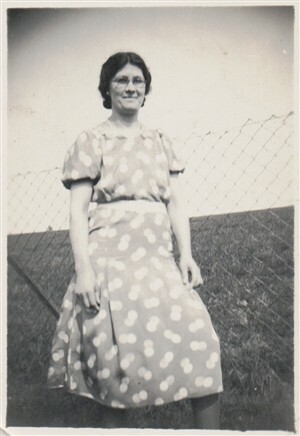 I have also attached a photo of Ada Taylor (nee Middleton) from roughly that time period. The family emigrated to Perth, Western Australia in 1948 (except my mother who had married in Brighton). 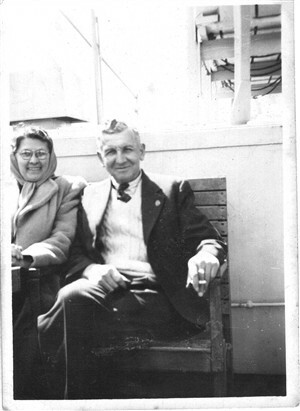 My mother and father (Ronald Barber and Freda (nee Taylor) emigrated to Perth in 1950. I was born there in 1953. The August 1936 photo has the following people (L to R): Joyce Taylor, Freda Taylor, Winifred Taylor and Ron Taylor with possibly their mother Ada Taylor in the window in the background. 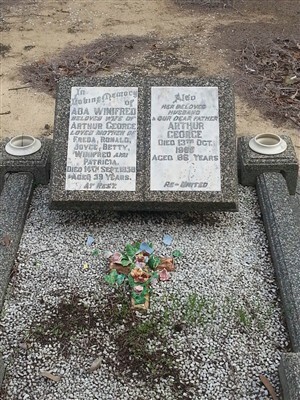 I have also attached a photo of their grave in Perth, Western Australia. Geoff would love to hear from anyone with memories of his family. This page was added on 11/05/2014. 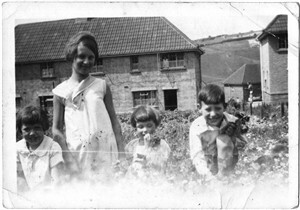 Hi Geof I don't know if you would know me but I lived at 29 fletching road with a family called Chinocks in about the years of 1952 to 1955 the other children names were June Bobby jimmy and terry which I would like to find.